Use this applet to understand translations. 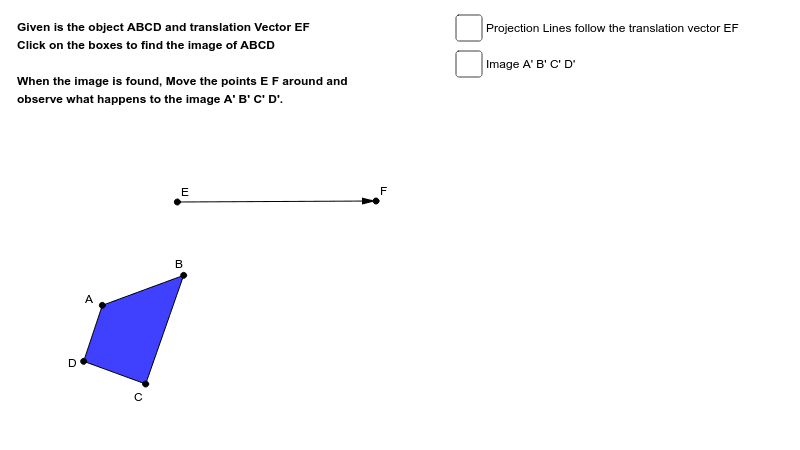 In this applet the image ABCD is translated using the vector EF. 1.- Open the following link and try to understand what a "vector" is: https://www.mathsisfun.com/algebra/vectors.html 2.- Change the magnitude and the direction of the vector. What happens to the image A'B'C'D'? 3.- Could you explain with your own words what the concept "translation by a vector" means?